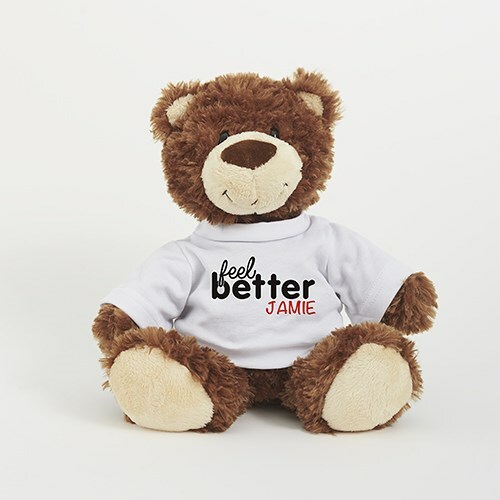 If someone you know is feeling under the weather, send them the gift of a personalized feel better Smiles bear. Our Smiles bear from the Aurora collection is made of super soft, mink touch fur with black bead eyes, and an embroidered smile. He sits approximately 9" W x 11" flat/ 10" seated L x 7" D. He is made of polyester and surface washable. We will add any name to Coco's feel better t-shirt to make a cuddly cute get well gift. Additional Details Shop other great get well bears to help brighten anyone's day.